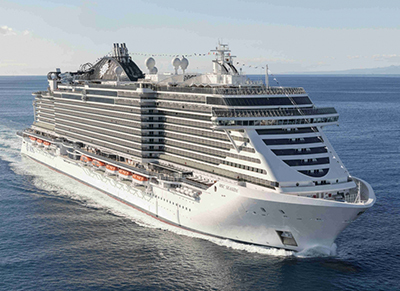 MSC Cruises is offering a free upgrade to a balcony stateroom on board the MSC Seaside when booking at an oceanview rate as part of its July 4th Sale, which is on now. What’s more, the cruise line is also offering a selection of unlimited free drinks throughout the entire sailing, with ‘Drinks on Us’ included as part of the sale. Valid on all new bookings made between 29JUN and 9JUL, 2018, for travel on select sailings on MSC Seaside during winter 2018/2019 and summer 2019. Please note, to take advantage of the promotion, you must book a balcony stateroom at the oceanview rate to be placed in a balcony stateroom.